On Sunday, I accepted an invitation to go into New York City for a Challenged Athlete Foundation event. For the last two years, I have been working on a middle grade fiction book about a girl with osteosarcoma who has to overcome a leg amputation. My story is based on a child in our town who has lived this experience. She and her family have been incredibly generous about sharing their story with me, and her mother knew that attending this clinic would both help me as a writer and be something I would truly enjoy. She was so right! If I had any doubt about the importance of this story, it's gone after watching these amazing people overcome pain, adversity, and challenges. 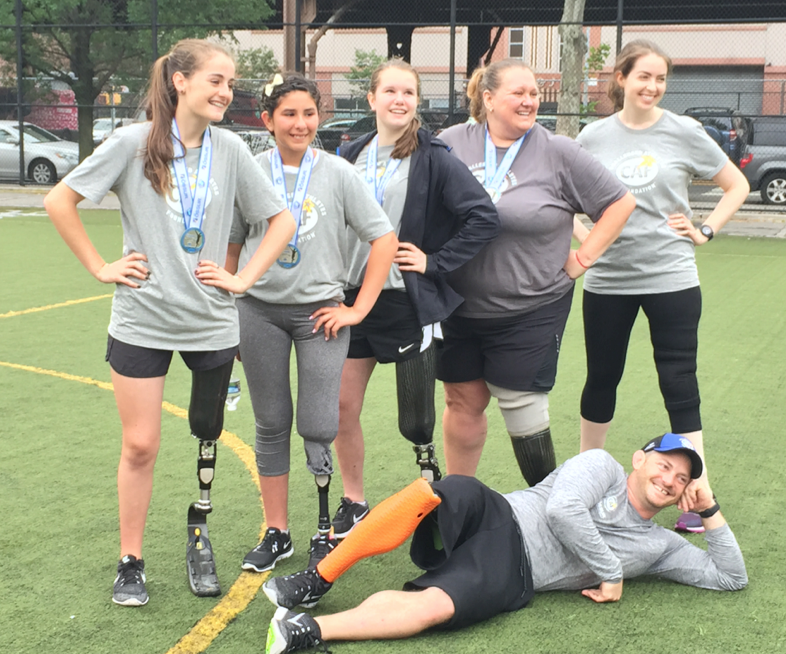 In a park on the upper east side, about fifty amputees of all ages worked together with therapists, prosthetists, and volunteers. Until Sunday, I didn't think as much about the complexities that amputees live with, even long after their surgery when it appears that they are functioning well. Because they all understood each other and could relate to the issues they face, they talked about the skin irritations, fitting challenges, maneuvering challenges, the pros and cons of various prosthetic limbs, and self-conscious moments. One of the teenagers spends days at a time traveling across the country to have the premier prosthetist in the country fit her with a silicone liner that wouldn't irritate her residual limb. One of the most important aspects of the clinic was the support and guidance everyone offers each other. There were all different levels of functioning since there was such a variation in people's time since their surgeries. The people who were more experienced worked hard to teach and show others techniques and strategies for maneuvering. In front of our eyes, in a two hour clinic, we watched people go from an awkward walk to a smooth jog. If something hurt or irritated anyone, there were adjustments made right there by experts with tools and equipment. One little boy was the recipient of a donated running leg. With everyone cheering, he put it on, and got to run on a specially built leg. Another girl has struggled with prosthetic challenges. On Sunday, she participated in the relay, running through narrow stretches, hula hoops, and backwards through a designated stretch. Up until then, she had only walked. There was so much emotion when she finished the course that I am welling up as I write. These people come long distances to be together and support each other. In a world that emphasizes and values resilience, courage, empathy, perseverance, cooperation, and generosity, they are models of inspiration for all of us. We write best when we write about what we know, and on Sunday I learned so much about the struggles and celebrations, courage and bravery of amputees. We also write best when we write what matters and what inspires us. I can't wait to get back to my book! What an inspirational post! Thank you, Melanie. I was a little overwhelmed reading this piece. I can't wait for you to finish and publish your book. I definitely would read it. My dear friend Jim McCall suffered for over 12 years with a chronic foot problem that often made him wheelchair-bound or forced to wear a special boot. During this time, he lived with constant pain. Finally, the only option remaining was amputation below the knee. He now is walking with the help of a prosthetic and going to NY to see Broadway plays, taking classes on international signing, traveling....everything! You are talking here about human beings with great courage and spirit. 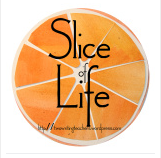 Thank you so much for sharing this post on Slice today. Wow Melanie. What an honor to be invited to be part of this day. It says so much about you as a person, not just a writer, that this family has shared so much of their daughter's experience with you. I am looking forward to that book when it is published. What an inspiration! I agree with Lisa, pursuing this story says much about you as a person. As writers, we understand the stories that must be told. Much luck with your book! How amazing that you were able to witness this first hand. I know it can only strengthen your story. A rich experience, Melanie, for you as a writer and a human being. What an incredible experience. Thanks for sharing. I'm sure this moment will positively impact your life and your writing.